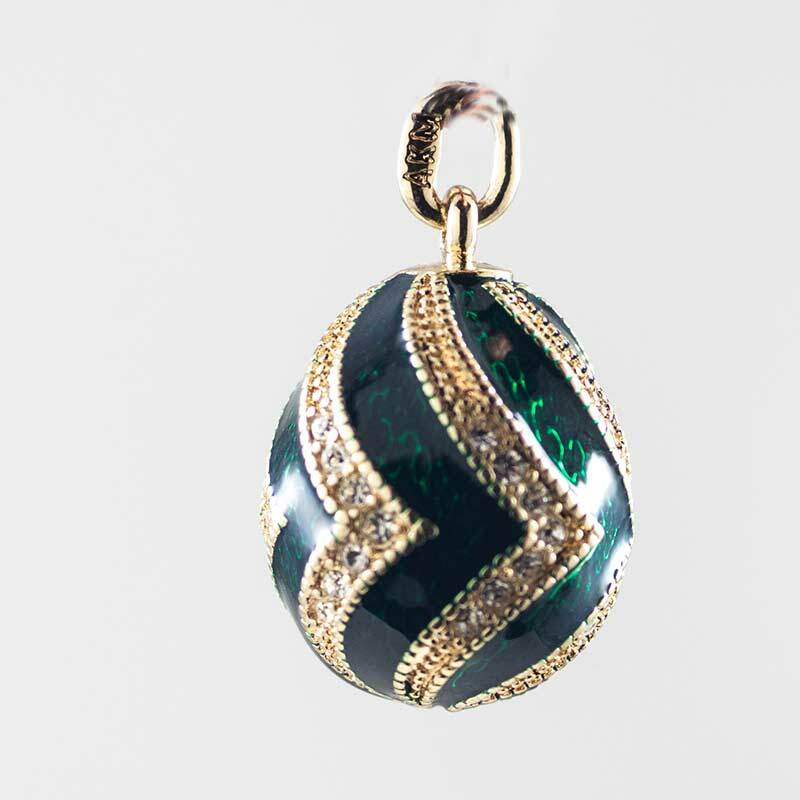 Pendant Corners Green is a Faberge style egg which is designed to wear as a pendant. 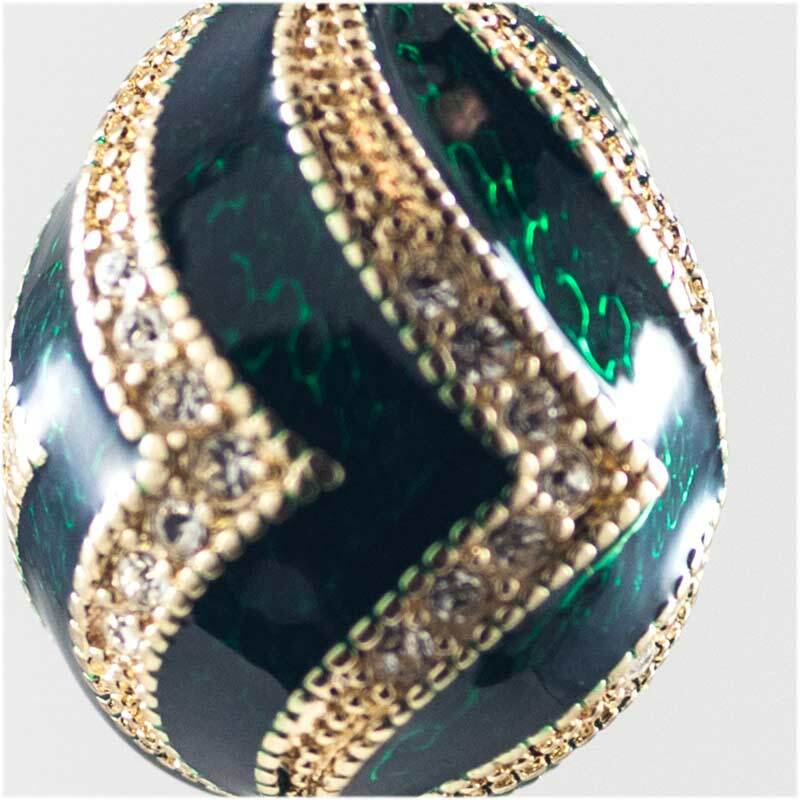 It is made of brass and then plated with gold and enameled with several layers of multicolored enamel. 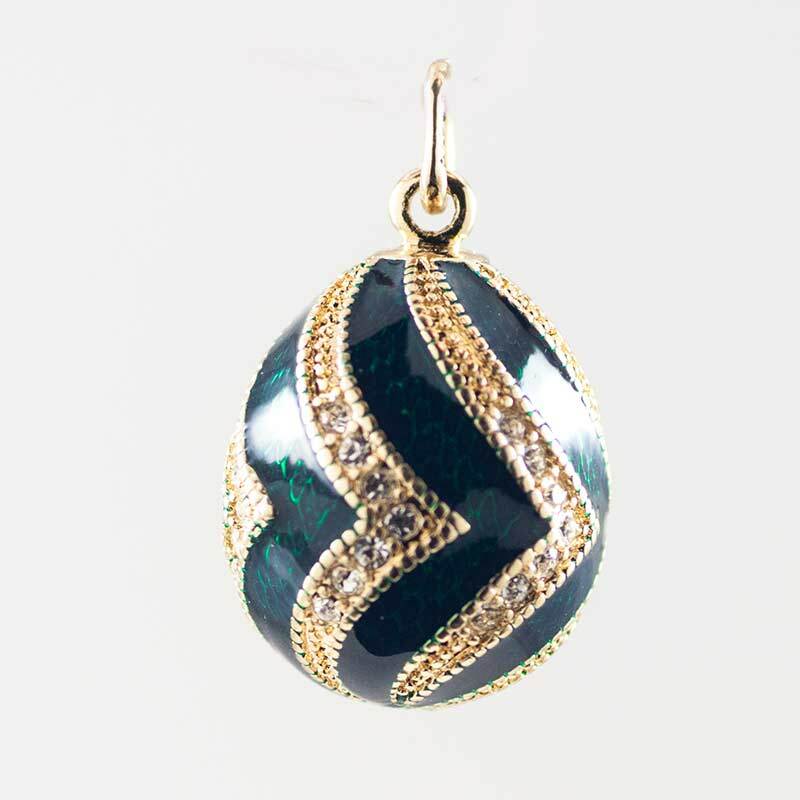 This pendant is also nicely decorated with Austrian crystals.